What requirements does the astronaut have to fulfill? completed studies in natural or engineering sciences, or in medicine or similar training in the military field. Is it more difficult for women than men to become an astronaut? No. The assessment of physical fitness, such as the condition of the cardiovascular system, takes place individually and the target values that the future astronauts have to achieve in this area take into account the physiological differences between men and women. The astronaut must therefore reach the target values of a woman, but not a man's. The psychological and medical requirements, also the state of health are identical for both sexes. There is also no distinction between men and women in terms of education. How long does it take to become an astronaut? The training period is 18 to 24 months. The training course for the two astronaut trainees started on July 1, 2017. Depending on the pre-qualification of the two trainees, an individual training program was created. The scientific training is based on the experiments that will be carried out during the mission on board the ISS and follows the basic training, or can take place simultaneously. The mission-specific training depends on the transport method to the International Space Station (ISS) and the crew, which will on board at the station during the mission time. Is there a danger to the health of the astronaut? Space travel itself does not cause any health damage. However, space is a hostile environment. For the time being, weightlessness can have a negative impact on the body. Examples would be a deterioration of the state of heath. In addition, astronauts lose bone mass - 1% per month in space. This loss can be prevented through physical training. For this reason, part of the of astronauts’ day also consists of training. On the earth, the astronauts recover their bone masses. Because of the consequences of weightlessness, there are prevention programs and therefore the environment as well as the health of the astronaut is closely monitored. What about medical care in space? There is no doctor on board the ISS. However, physicians on the ground provide the astronauts with advice. 15-minute private talks are also available. In addition, two astronauts per mission are trained to provide medical assistance. They are practically the paramedics on board. Medical checklists in the space shuttle also assist the astronauts in the diagnosis and treatment of sick crew members. In the space station itself there is a warehouse with medicines and medical utensils - from painkillers to defibrillators. Which members are in the committee for the final selection in April 2017? Claudia Kessler, founder of the initiative "Die Astronautin"
Why was there not a German woman in space yet? 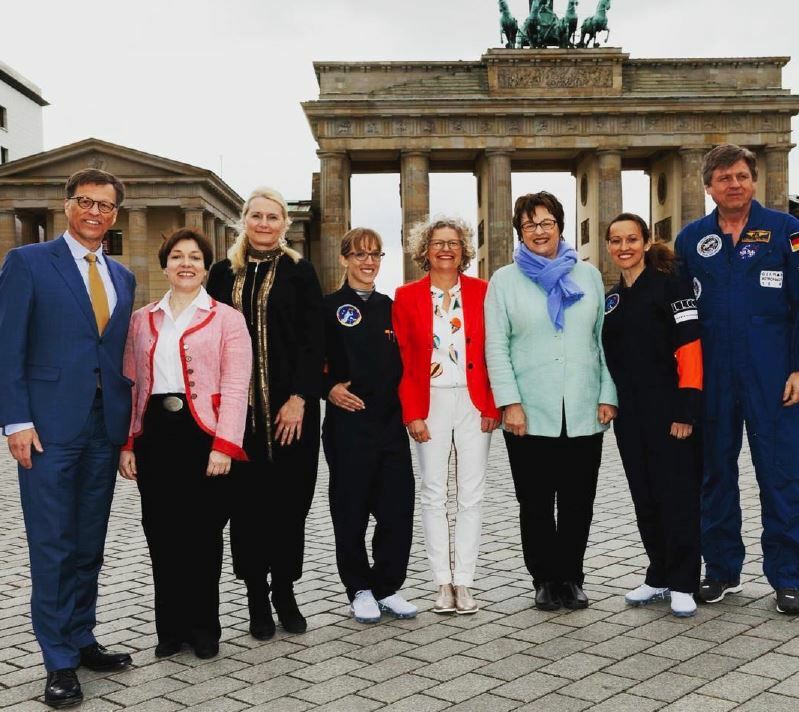 Unfortunately, there are still not enough women in scientific and technical professions in Germany, so that in the last application procedure of astronauts, no German woman has yet been selected.